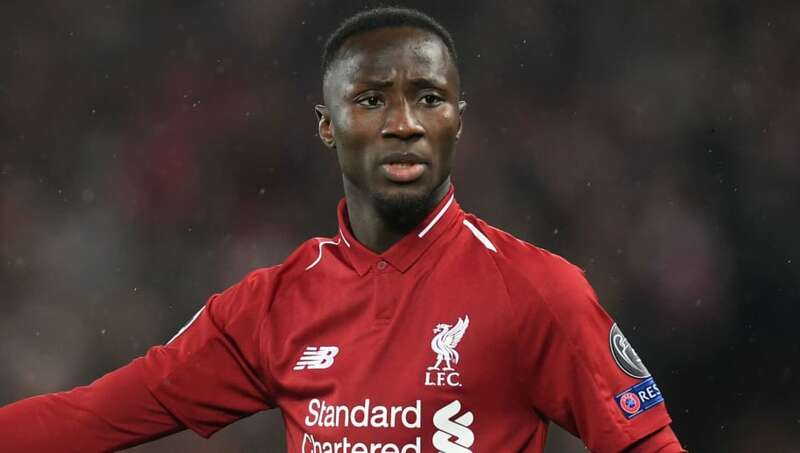 ​Liverpool forward Sadio Mane has backed teammate and close friend Naby Keita to go from strength to strength for the Reds now that he has scored his first two goals, with the Guinea international having initially struggled to adapt after his big money summer move. Keita's reputation as a superstar in the making had slowly been building among Liverpool fans as they eagerly awaited his pre-arranged arrival from RB Leipzig for a fee in excess of £50m. The expectations only heightened when he then inherited Steven Gerrard's old shirt. But the new star struggled to find his feet and was in and out of Jurgen Klopp's team as early as September. There were even rumours that the club could cut their losses in the transfer market to get rid of Keita, although he now looks to finally be finding his rhythm. The 24-year-old scored his first Liverpool goal against Southampton in a crucial Premier League win last Friday, following it up with a second against Porto in the Champions League quarter final first leg just four days later. Mane, who grew close to Keita during their time together at Red Bull Salzburg in Austria, seeing him also struggle there before eventually becoming the 'star of the team', firmly believes things will keep getting better and supporters will see the 'real Naby'. "We have a lot more to see from him and I am sure we will see it. I'm trying to help him and everyone in the team and the coach as well. It is not easy to move from Germany to change club, especially as the league is not the same," Mane is quoted as saying by the Daily Mail. "It is part of the things you have to deal with and he is working hard every single day. The real Naby is coming still. He played well the last two games. I know him very well and there is more to come." Mane explained that Keita has 'never stopped working hard' and hopes that the two goals in his last two games will not serve to 'boost his confidence'. Naby Keita this evening: One goal, two chances created, 3/6 take-ons, 10 ball recoveries, 8/10 tackles. His best performance in an #LFC shirt without doubt. Liverpool fans will be hoping Keita can even make it three in three when the Reds face Chelsea at Anfield on Sunday in what could be a decisive moment in the Premier League title race.